"The 2014s from this pioneering new real estate and hotel project won’t be released for a while, but they are every bit as good as the 2013s. Spicy and aromatic, with the sort of aromas you find in the garrigue of the Languedoc, this is peppery, intense and refined with understated oak. 2017-21"
"Notes of sour red cherry and leather on the noes on the nose and alluring flavours of violets, chocolate and peppercorns, this is an honest and clear example of Uco Valley Malbec. Smart wine, best to enjoy now." "Dried-fruit, fig and berry character on the nose. Full body, soft and juicy with lots of flavor at the end. A little overdone but very alluring. Drink now. " 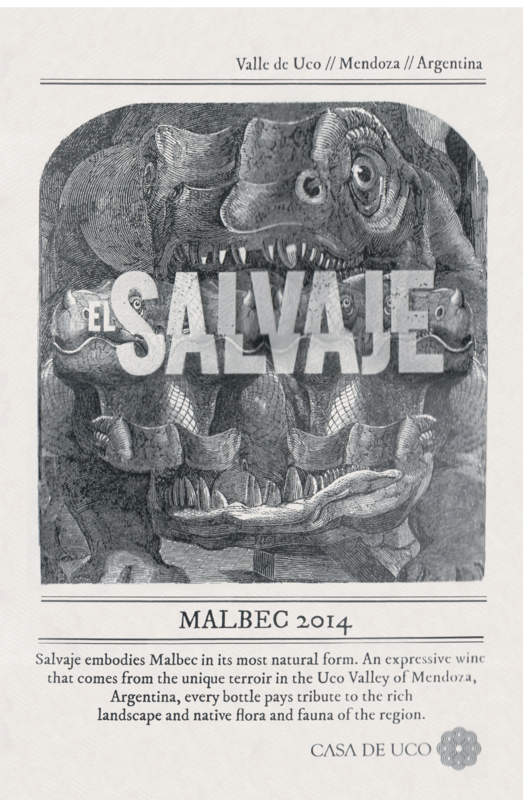 Salvaje embodies Malbec in its most natural form. 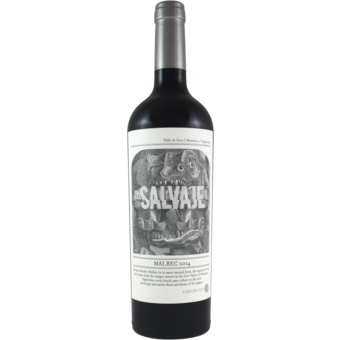 An expressive wine that comes from the unique terroir in the Uco Valley in Mendoza, Argentina, every powerful bottle pays tribute to the rich landscape and native flora and fauna of the region.In Spanish, Salvaje means Wild.